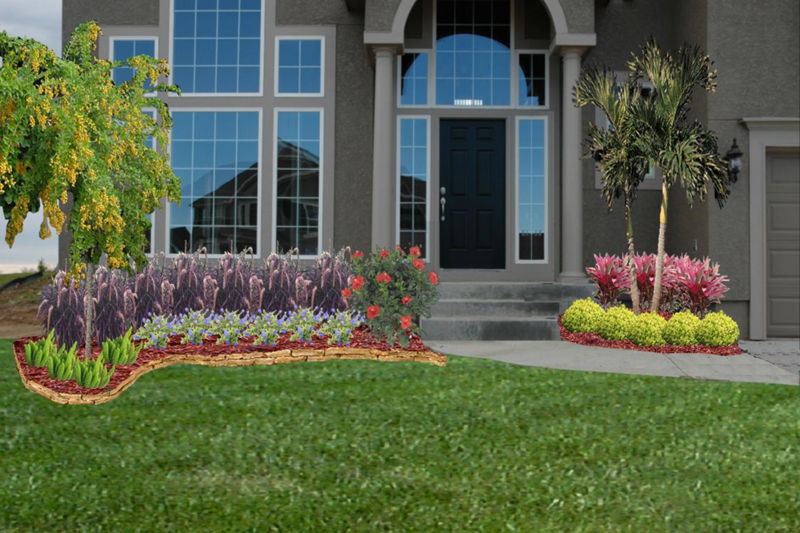 Our Computer Landscape Design is a service like no other. Instead of a hard-to-read circle plot chart, what you receive is a visual perspective of what your landscape is going to look like. 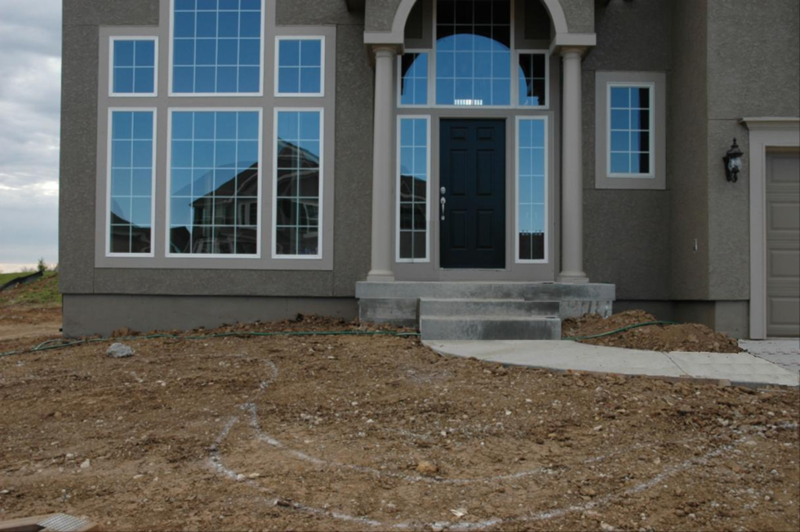 At an affordable price, our Landscape Designer will create a landscape that is customized to suit your individual needs and taste. We can provide you with a large variety of plants and use our expertise to coordinate them in a way that works well together. 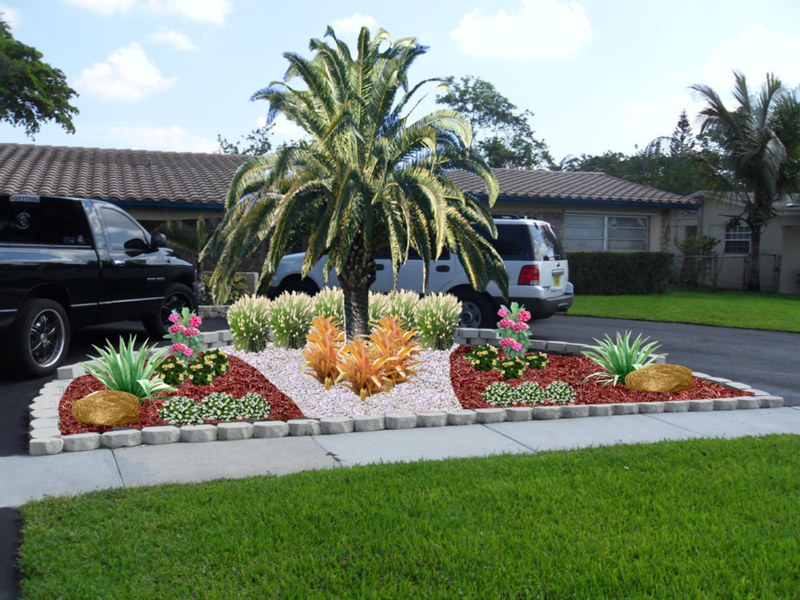 The first Landscape Design picture costs $59.95 and each additional picture costs $29.95. 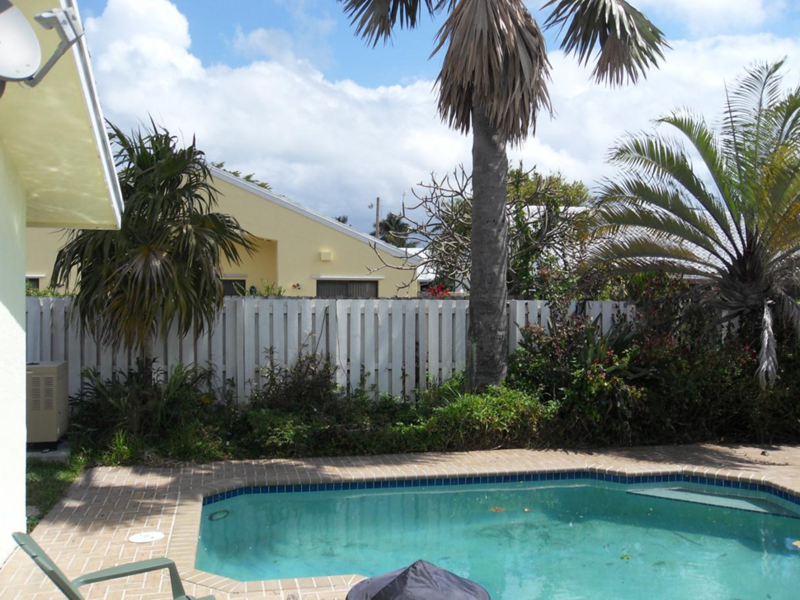 One of our consultants will come to your home and take a picture of your area to be landscaped. We will note information like sun exposure, wet or dry conditions, etc., along with anything you would like to incorporate in your design. 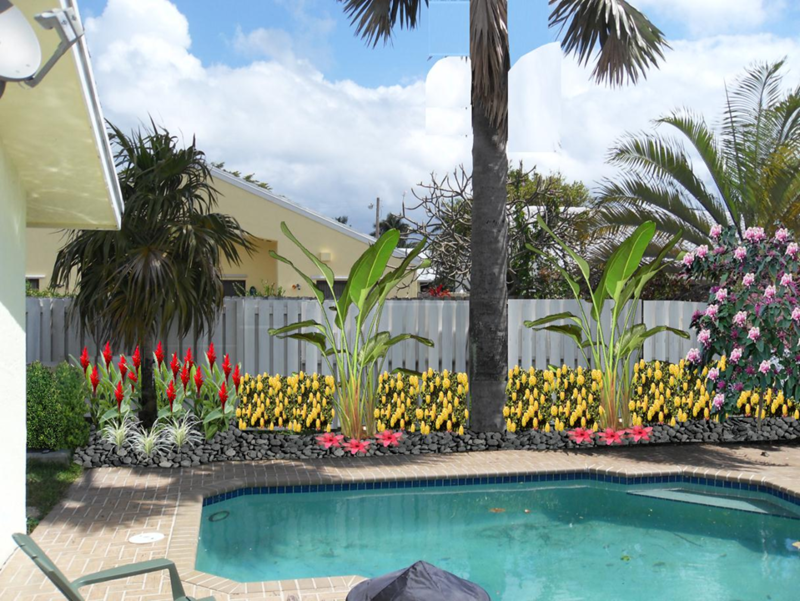 When the picture design is complete, you will receive it via email along with a proposal listing plant names, quantities and a total price for us to do the work. You will then have the opportunity to have a sit down meeting with the designer and make any changes that you would like. If you hire us to do the landscape job the original design cost will come off the job so it will be free in the end. Otherwise you can install the landscape yourself with the design pictures and list of materials from the proposal. 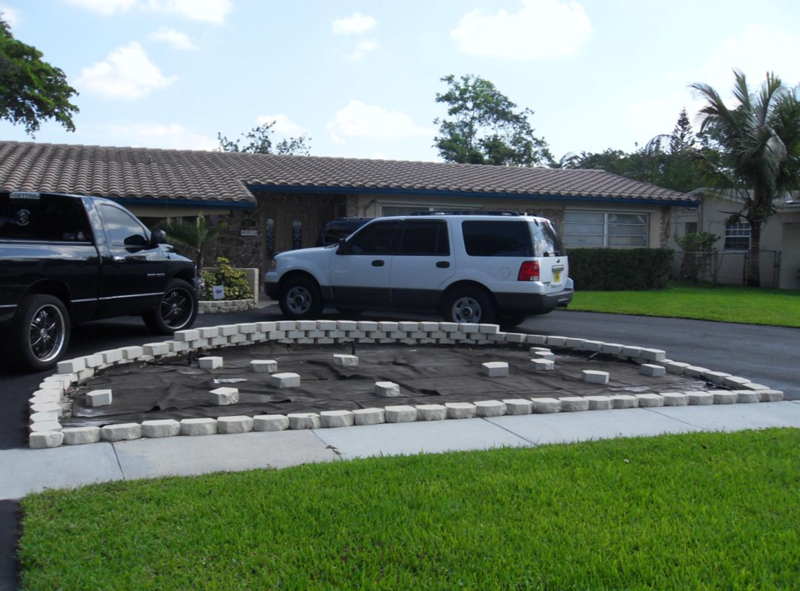 To schedule an appointment, you can call the office at (954) 689-0791 or visit the nursery.